I bottled this beer, apparently. According to my notes and the fact that I have drank it all since, yeah, it was bottled. 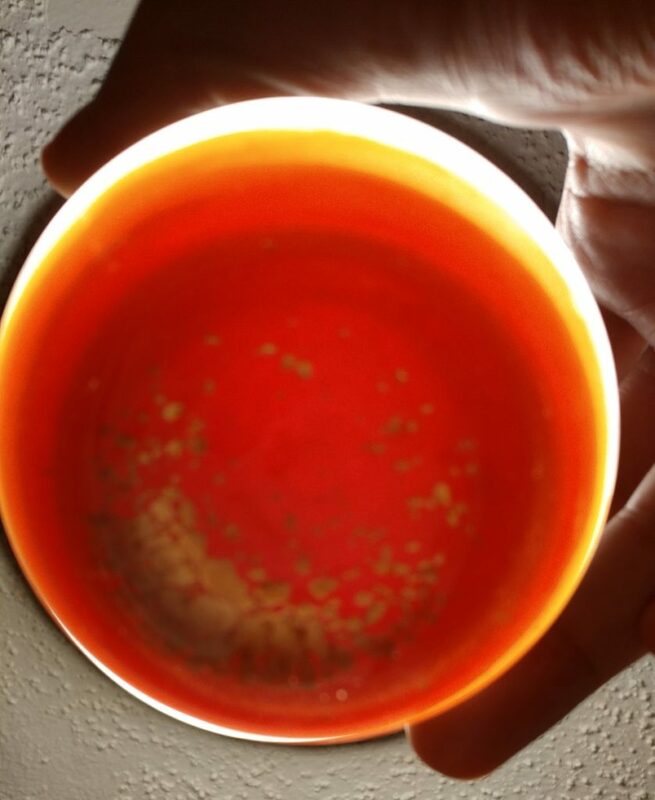 The separated chocolate sludge never did dissolve or settle, though it did leech the color out. It tastes good, but there is still a bit of ye olde band-aid. In drinking the beer, there is a ton of the used-to-be-chocolate sludge in each bottle. 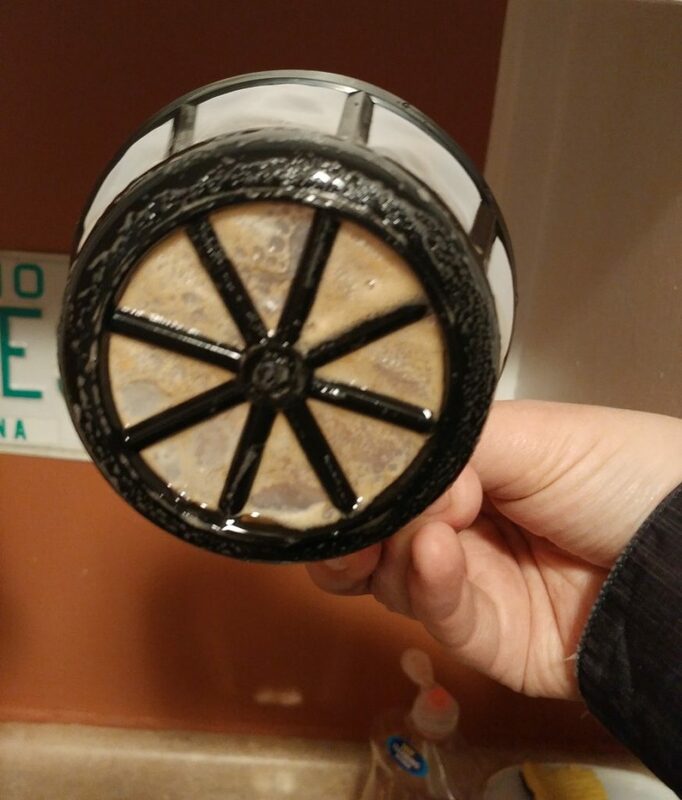 I bought a couple of reusable micro-mesh coffee filters and poured the beer through it. That picture is taken from below the glass with the ceiling light fixture directly overhead, by the way. It can be confusing. Yes, I drink beer out of a stemless wine glass. Like a fancy, fancy lady. I originally tried using paper filters, but less than one beer fully clogged the paper to where the last bit wouldn’t even flow through. Next time, use chocolate malt instead of actual chocolate. All site content © Copyright 2019 James Moats unless otherwise noted.